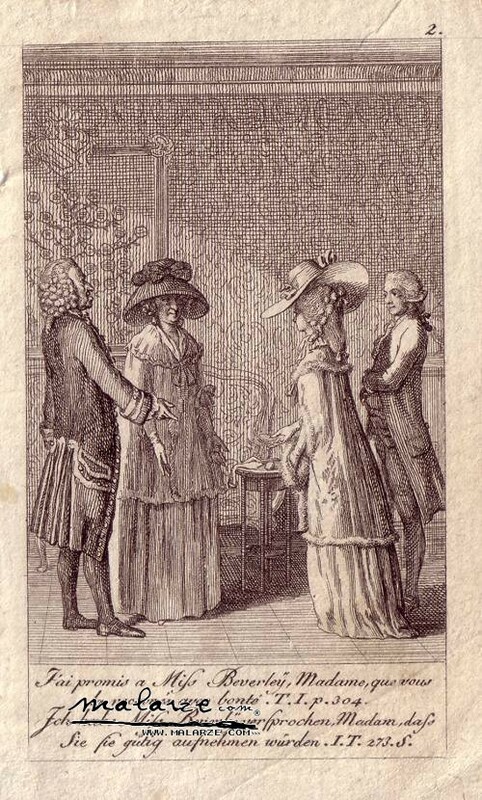 Illustration to "Cecilia or the Story of a Sudden Enrichment (or the Story of a Rich Orphan)" by Francis Burney d'Arblay, published 1789. Paper size10,1x6,3 cm, good condition, visible traces of removing the etching from the book. Whole series has a number 588 Engelmann's catalogue, the only known version of the plate.